Well…2013 was a blast! Watching my son grow and learn is amazing and he is always the same charming happy boy. In 2013 it was clear that the little family was growing bigger and in 2014 we’re having a baby girl! Exciting times ahead! Crafty resolutions for 2013 – How did I do? 2. 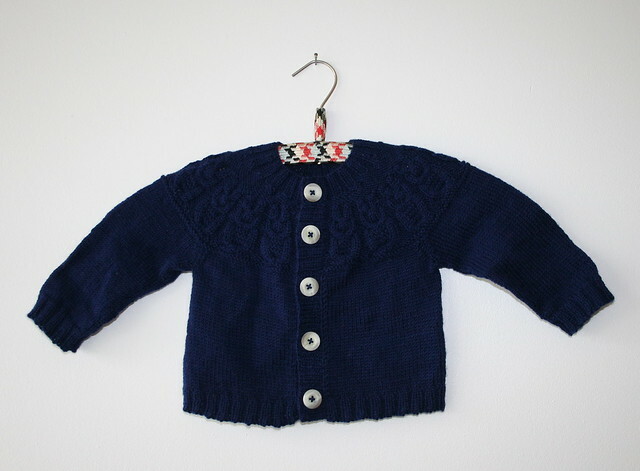 Design and publish a pattern for a children sweater (at least one!) – NOT CHECK! However, I have few design and I’m going to try to make it a whole book! 4. Knit myself something really beautiful and nice! – CHECK! I crochet myself a shawl and a cowl/cap. So bring on 2014 with all its glory – it’s going to be super! Posted in life and tagged personal. Bookmark the permalink. My grandmother passed away in February. She was a brilliant and strong woman. When I was younger I always had hand knitted mittens and socks from both of my grandmothers and they were a great inspiration for me as a knitter. The night she died we knew it was coming. I was too restless to work on my knitting so I picked up a crochet hook and started crocheting a classic granny square. I had never made one before but I knew how to do it so the square came pretty easily. As I sat there crocheting one square after the other I decided that I would put up a yarnstorm in the memory of my loving grandmother. And so I did. My grandmother lived in this house since the middle of last century. This is where she raised her children and had her most joyful and hardest times. 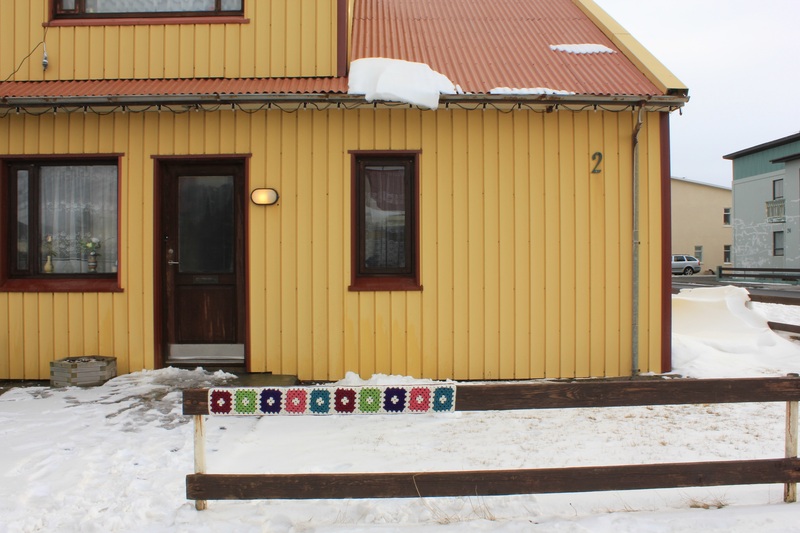 In her loving memory, I left these granny squares on her fence. Posted in life and tagged personal, yarn graffiti, yarnstorm. Bookmark the permalink. 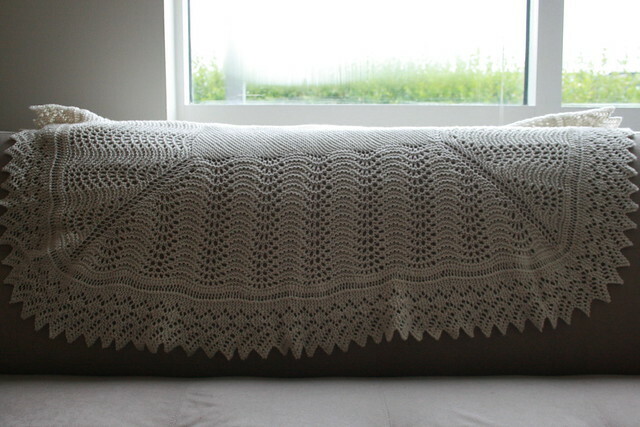 When I got pregnant I decided to knit a blanket that had been a favorite of mine for a long time: Babysvøbet – Det hele kongerige! by Marianne Knorborg. It took me from January to the end of April to finish the whole thing. 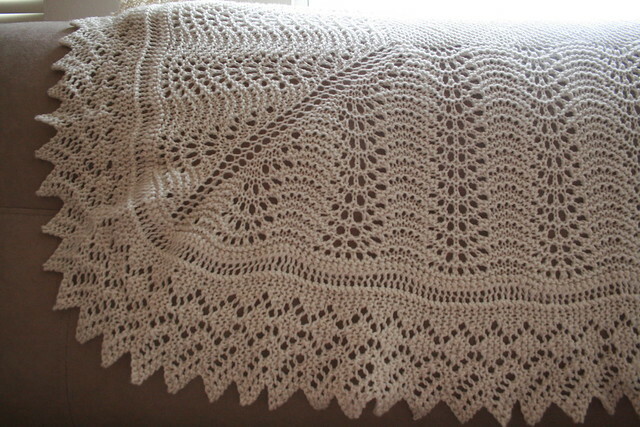 I technically knit the inner border 6 times as I decided, after knitting two sides, that I wanted the lace to be more open. So I went up a needle size, frogged the already knit borders and knit all four of them again. I’m really happy with the result! 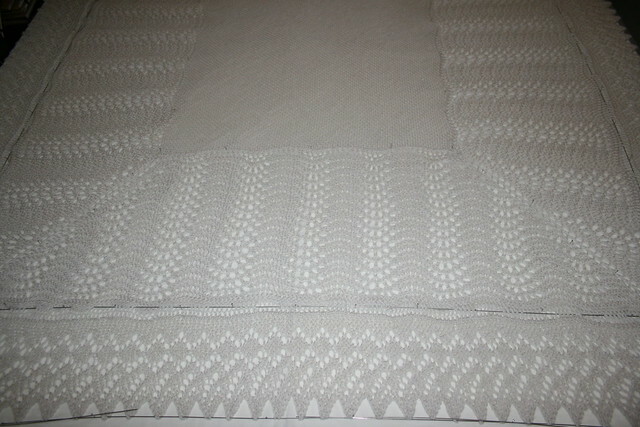 The outer border took the longest and the blocking was a bit tricky. 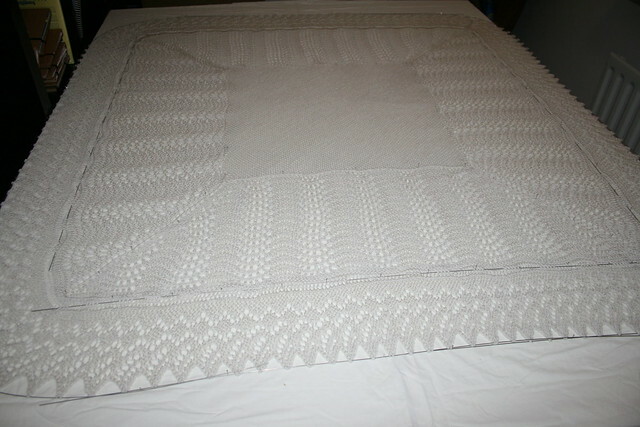 But with great help from the husband and my new blocking wires (LOVE THEM!) it “only” took an hour and a whole room in the apartment! The borders drape pretty nicely. 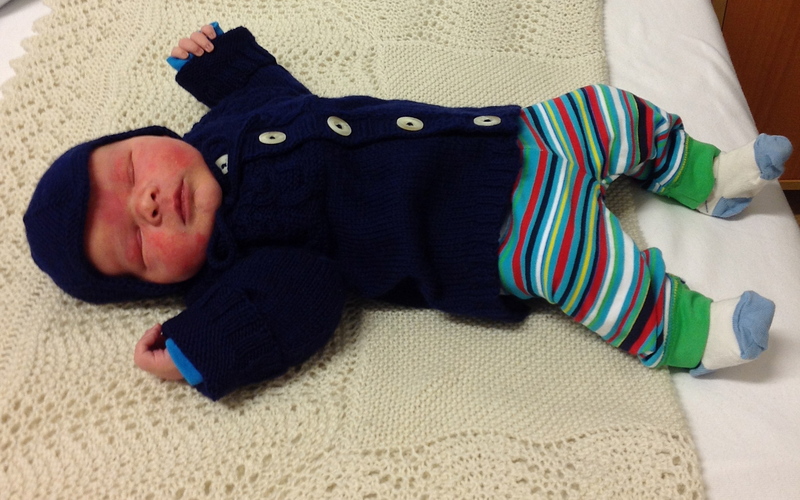 Posted in knitting and tagged baby, blanket, knitting, personal. Bookmark the permalink.